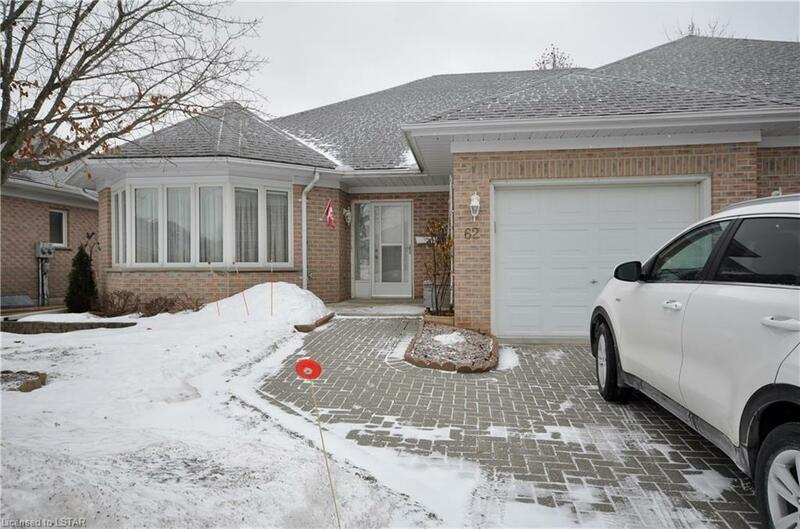 Vintage Green in Ilderton, a peaceful 55+ Adult community only 10 minutes from London. This spacious 2+1 bedroom home boasts an open concept living & dining room, large bright windows throughout. Eat in kitchen and a sunroom with vaulted ceiling and three skylights which overlooks the private rear yard with deck and awning. Main floor laundry & central vac. The finished lower level has just been completed in the last six years, featuring the cozy family room with gas fireplace, large bedroom with closet & 2 other rooms, plus a utility and a separate storage room with workbenches. Enjoy the recreation center just a short walk from your door. The land lease is approx $388/month including grass cutting and snow removal.